Cooking a turkey to have as a holiday meal is typically a long process if you are using a standard oven. The time and effort results in a tasty bird that is ready to serve on a platter. If you do not have any time to prepare a traditionally cooked bird, then you can easily cook a turkey in a trash can. One of the best things about the process used to cook a turkey in a trash can is you do not need a lot of supplies. A regular trash can and some heavy-duty foil are the most important. You will also need a few bricks and a bag of charcoal that is at least 10 pounds. 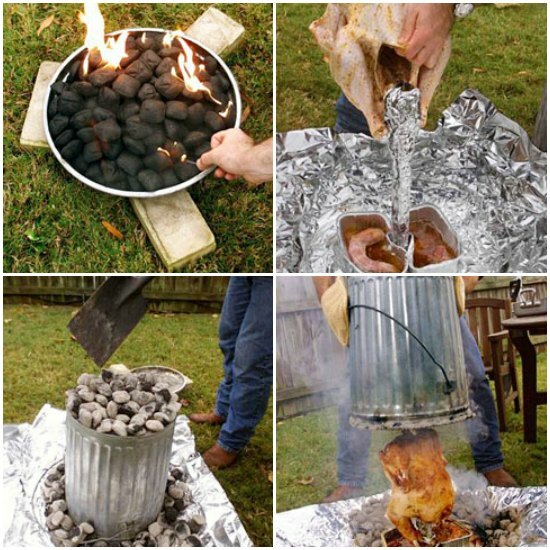 The process to cook a turkey in a trash can is similar to cooking food wrapped in tin foil. The heat that is generated by the hot charcoal is used to cook the bird. Just make sure that you have some hot pads or a thick pair of work gloves as the trash can will be really hot.